Terror Firma Media: Casting News! 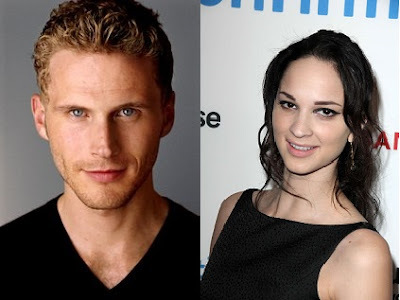 Ruby Modine (Central Park, Showtime's Shameless ) Charles Aitken (Bonkers, Madam Secretary) & Rachel Matthews have joined the cast of the upcoming Blumhouse Production "Half to Death". They will appear alongside the previously cast Jessica Rothe (La La Land, Lily & Kat Lily) and Israel Broussard (H8RZ, Fear The Walking Dead). Half to Death will be directed by Christopher Landon (Scouts Guide To The Zombie Apocalpse & Paranormal Activity: The Marked Ones) from a script by Scott Lobdell (Mosaic, Ball & Chain). According to Variety "Rothe stars as a woman who must solve her own murder before her chances run out." Are you excited about this upcoming film and casting news or is it not sounding like your slice of flesh?